La belle Melania Levitsky en Cyrano et David Anderson en Roxane ! D'après la fameuse adaptation de Jo Roets. 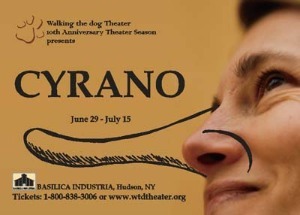 © Walking the dog Theater. Photo : © Walking the dog Theater. Publié le 23 / 04 / 2011.